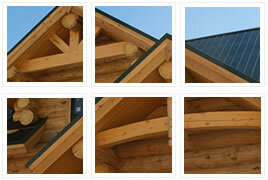 Got the Blues: A craftsman makes the best of the mountain pine beetle infestation in Colorado. When Steven Rundquist moved from Brewster, Massachusetts, to Bellvue, Colorado, in 1998, he geared his timber framing company to new residential construction in this area north of Boulder, instead of preserving the centuries-old homes he encountered on Cape Cod. Although Rundquist would look to the same historic precedents in this next chapter of his business, the materials at his disposal were not quite the same. Around 2005 he started hearing about a burgeoning of mountain pine beetles in the area. Five years ago he began seeing the ravages firsthand. How is the structure made? 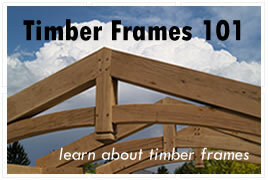 How much do Timber Frames cost?